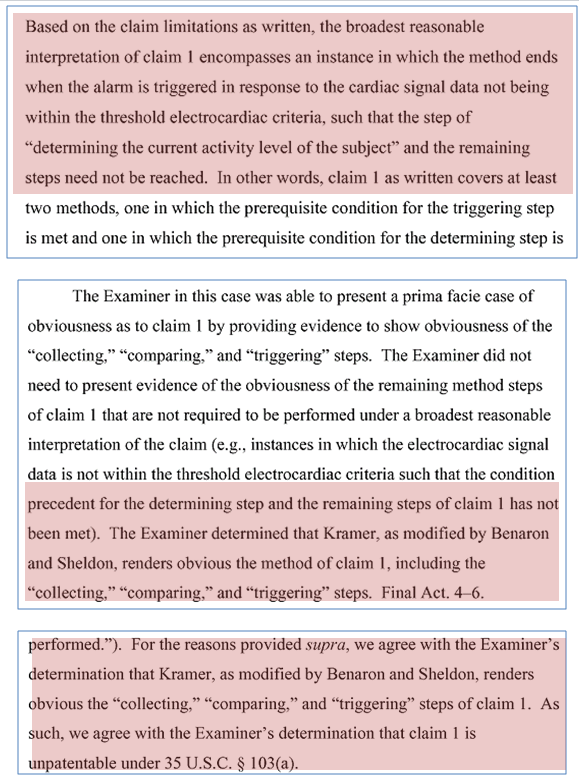 Recent affirmation of an Examiner’s rejection by Patent Trial and Appeal Board (PTAB) in response to an applicants’ appeal (2013-007847 – Ex Parte Randal C. Schulhauser) seem to open a new door for invalidating method patents. After the Alice based rejection, this case seems to be a good candidate capable of setting up a new wave that might kill numerous method patents. According to the PTABs’ decision, Method and System claims comprising conditional steps are treated differently. Broad interpretation is given to the ‘Method claims’ whereas narrow interpretation is given to ‘System claims’. The knowledge of such an important precedent for a prior-art researcher can be extremely helpful in invalidating a method patent. 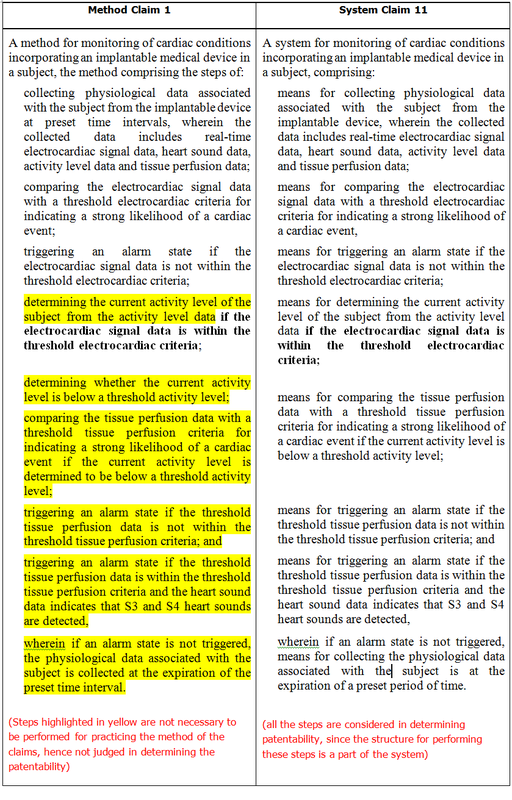 This not only helps in defining the broadest scope of a claim but also helps a researcher to focus his/her energy and time to perform a patent search in the right direction. Further, this could help him come up with a prior art invalidating a method patent quite easily. According to the decision, the patentability of a method claim can be challenged by even those prior arts which do not disclose conditional steps. The indicated reason being – if a condition for practicing a step is not met, then the performance of the step is not necessary to practice the claimed method. As a result, the broadest reasonable interpretation of such a method claim should not include the conditional steps. In the same decision, it came out that the system claims directed to perform the same conditional steps as the method claim cannot be challenged by those prior arts which do not disclose the performance of the conditional steps. The indicated reason was – the broadest reasonable interpretation of the system requires structure for performing the function should the condition occur. This differs from the method claim in a manner that the structure (means for performing the function) is present in the system regardless of whether the condition is met and the function is actually performed.